Earning online is very easy. I've already tried this method, and it really works! It's safe, user-friendly and virus-free! It's what we call "PTC" or Paid To Click program. It's the online method, where members view/click advertisements for a short period of time (usually 30 seconds) and then the advertisers will pay them a corresponding amount thru the world famous payment processor called "PayPal." 1. You must be a human. Yes! It's a must! I'm not kidding. 2. You must have a machine, that manipulates data according to a set of instruction. Also called "computer." 3. The capability to connect to the Internet. Dial-up, ISDN, DSL, Cable, Wireless, T1, T3, Satellite, name it! 4. You must possess these three requirements or else there's nothing more I can do to help you! 5. There is no fifth step. Just 4. I mean, 3! On the left side, click "Sign-Up," choose your country and then choose "Personal." Fill up the details. Make sure you give correct information, so you won't have problems when you withdraw your funds. If you don't have a credit card, just click "Go To My Account." Click the word "Register Now" on the left side, then complete the required information. 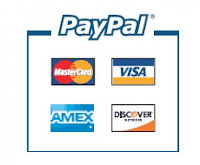 Create a username and password, enter your e-mail address and input your PayPal e-mail address. After registration, you will be asked not to close the page. Check your mail inbox if you already received the confirmation e-mail from Neobux, open the message and copy the verification code. Paste it on the box that you have left before (the page that says do not close me). After the verification process, you may now login using your username and password. Go to Neobux homepage and click "Login" on the upper right side. A yellow box should appear. Input your username, password and leave the secondary password if you don't have one. Enter the verification code to confirm that you are really human, then click login. Just wait for the loading bar to finish, then a confirmation will appear just like this: "Advertisement Validated!" You can now close the page when you see the confirmation message. You may repeat the same procedure on the next 3 advertisements. As a standard member, you can view 4 ads every 24 hours. Basically, you earn $0.01 per ad, if you view 4 ads a day, then it's $0.04 daily! OMG! Did I hear you say "Is that what you say EARN!?!?" Well, basically 4 cents a day is a very small amount. No worries! The referral program is on the rescue! By sharing information and referring someone to join Neobux, you will earn 50% of their income. Ain't it cool? As far as I can see, it is not that hard to ask friends and buddies join the program, because I know it's safe, it pays well and there are no viruses/worms or any softwares that will harm your device when you join the program. So what are the opportunities when you refer? Well, if you refer 20 friends in total, that is $0.02 x 20 plus the ads you click which costs $0.04 in total, that's $0.44 a day and $13.2 a month! $1.04 x 30 = $31.2 extra monthly income! you can finish viewing the 4 ads, so what are you waiting for? Dont waste time! It's not sure that The people whom you refer we're going to click daily. It's a bit non realistic. But mind you, It's doable :) Good article.